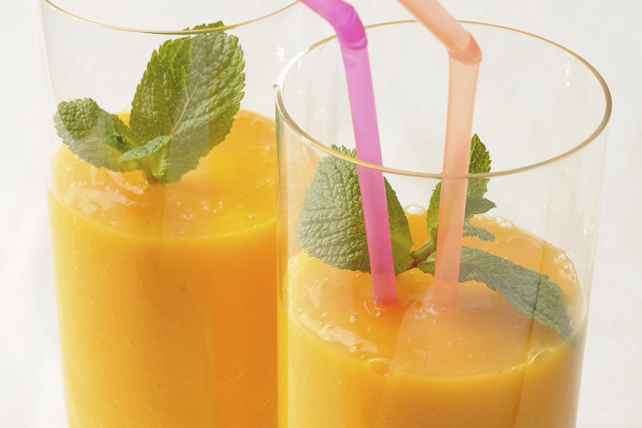 Creamy frozen vanilla yogurt and mangos are blended with TANG to make this luscious citrus smoothie - the perfect drink to enjoy on a hot summer day. Blend all ingredients except mangos in blender until smooth. Garnish filled glasses with fresh mint before serving.